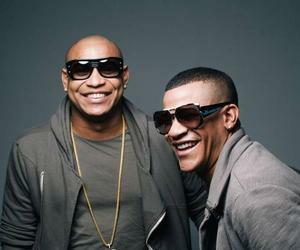 The popular duo Gente de Zona and Jacob Forever have been nominated for the 2016 Latin American Music Awards. In this second edition of the contest, the awards ceremony of which will be held on October 6 at the Dolby Theater in Hollywood, California, the Cuban artists compete for the award in several categories. The duo composed of Alexander Delgado and Randy Malcom in “Favorite Tropical Artist” and “Favorite Tropical Album,” with the CD Visualízate, and in “Favorite Tropical Song” with the hit La Gozadera a piece they share with Puerto Rican Marc Anthony. Gente de Zona is part of the group of artists that will provide the music for the celebration along with other exponents of Latin music, including Jesse and Joy, Victor Manuelle, and Prince Royce. For his part, Jacob Forever, an exponent of urban genre, competes in “New Artist of the Year” and “New Favorite Urban Artist,” as pointed out by the official website of the Awards.